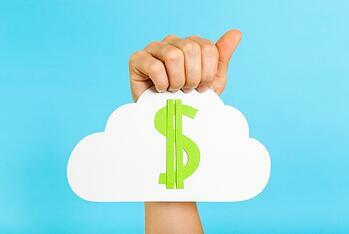 IVR Pricing: How Much Does Cloud IVR Cost? Whether you’re thinking about moving your premise IVR to the cloud or changing to a new cloud IVR vendor, pricing will factor into your purchase decision. Much is written about how the cloud allows you to shift dollars from capex to opex, so we thought it might be helpful to share some details about how cloud IVR vendors typically structure those expenses. IVR Usage Fees: These include the use of the IVR application, the IVR platform, all the surrounding cloud infrastructure, maintenance, monitoring, security, compliance, and more. Telco Fees: These include the cost to transport calls to your cloud IVR, plus the cost for any advanced telco features that may be used. Toll free numbers, VoIP services, and associated taxes all fall into this general category. Professional Services Fees: These are the fees to design, develop, and set up your application to run on the cloud IVR. After your IVR is live, the cost to maintain, change, or enhance your application may also come into play. IVR usage fees in our industry can range from less than a penny a minute to more than ten cents per minute for a typical 2-5 year service contract. Price levels depend heavily on your call volume, with higher volume commitments (as in several million minutes per month) and the longest contract terms earning the lowest per-minute rates. This is more complicated than a simple price-volume commitment model. As with any other purchase, you get what you pay for. It’s important to understand the complete picture of the service you’re getting for a given price. Some cloud IVR vendors can have literally one hundred times the annual downtime that others do, so you have to make sure you look at the SLA and also get a clear understanding of how they calculate uptime. Downtime is expensive, so make sure you’re actually getting the uptime your business requires. Don’t assume actual uptime will be stellar just because you’re considering a very well-known brand. You have to read the fine print. Some vendors, for example, give themselves a free pass on downtime due to maintenance (Contact Solutions doesn’t). You’ll also see differences in security and compliance levels (such as PCI-DSS, SSAE, HIPAA) as well as maintenance practices, upgrade frequency, and the volume and level of detail in the interaction data captured and made available to you for analysis. Most vendors charge extra usage fees for speech recognition (Contact Solutions does) and other enhanced services such as more advanced reporting and analytics. This is not unusual, but it’s important to be aware of this early in the buying process so you don’t get surprised later. The first consideration is whether you want to be COR or NCOR- that’s client of record or non-client of record for the telco. If you are COR, that means you are responsible for your own telco, and you simply route it to your cloud IVR vendor. Many large enterprises already have existing contracts with a telco vendor, and they prefer to keep their IVR traffic under the same contract to reduce their overall rates. About 50% of Contact Solutions customers are COR, so this is also not unusual. There are advantages to being NCOR and letting your cloud IVR vendor be responsible for your telco charges. As you might imagine, most cloud IVR vendors are very large telco customers and they generally get outstanding rates from their telco vendors. They will often pass on telco savings to their clients in the form of lower rates than the client can get themselves by buying directly from the telco. If you have a particular 800 number you want to keep, it doesn’t matter if you are COR or NCOR. You can still keep your number even if you’re getting your telco through your cloud IVR vendor, and that vendor can manage the 800 number on your behalf. Without getting into a telephony lesson here, you should also be aware that additional telco fees might apply when you have certain kinds of advanced call transfers (such as TransferConnect or Take Back and Transfer) that let you avoid paying for multiple legs of a call after a call has been transferred from the IVR to your contact center. These transfer fees can be levied on a per-use basis, or they can be rolled into a slightly higher per-minute telco fee. Know which one your vendor proposes so you can make sure the model minimizes costs for your traffic model. Finally, we come to taxes. Every telco must charge certain government taxes and fees, and these aren’t trivial. Some cloud IVR vendors include taxes and fees in their telco quotes, and some don’t (Contact Solutions quotes “all-in” telco prices.) Be sure to find out if taxes and fees are included in your telco quotes so you can compare apples to apples. When you migrate to a cloud IVR, you will incur professional services fees to design, develop, and set up your application to run in the cloud. Every reputable vendor will have a mature process to develop a new IVR application or to migrate your existing application to the cloud. The cloud IVR professional services fees can range from just a few thousand dollars to several hundred thousand dollars or more, depending on the complexity of your application. The size of your call flow (how many branches, how many menus, etc. ), the type and number of integration points with back end systems, and whether your application needs speech recognition will be key drivers of the professional services costs. Some vendors, including Contact Solutions, offer tiered packages of professional services based on different levels of application complexity. We find that especially for less complex applications this simplifies and accelerates the effort to estimate up-front professional services fees so customers can make an informed decision. Whether it’s fully custom or partially packaged, every reputable cloud IVR vendor will provide you with an estimate of professional services fees up front. But sometimes there’s a catch. It’s common practice in the industry to roll some or all of the professional services fees into the recurring IVR usage fees, especially for deals with high call volumes and thus a large stream of recurring usage fees. This can be a good and beneficial practice, because it can lower your up-front fees and spread the cost of pro services over the life of the contract so migration costs are reduced or eliminated. It’s only bad if it obscures what you’re actually paying for professional services and usage fees. You don’t want the vendor to cut corners on your application development because they have an incentive to minimize costs under such a pricing model. Nor do you want to accept a higher usage fee to absorb pro services fees, and then keep paying the inflated usage fee for years after you’ve already paid for your application. That’s why it’s important to understand exactly what you’re paying for each (pro services and IVR usage) before you work with your vendor to establish a final pricing model that determines when those fees will be paid. Finally, you must also consider additional professional services fees that could come into play during or after your migration to the cloud. All vendors will charge change fees if the scope of your project expands beyond what was originally defined. However, some vendors are far more lenient than others when it comes to what triggers a change order. It’s best to have that conversation with the vendor in advance as part of your pricing discussion so you can get a clear understanding of what might trigger extra fees. Beyond change orders, most vendors will charge for additional tuning or optimization of your application’s performance after it goes live. This is important because application performance is the keystone of your ROI. If you don’t achieve the desired self-service utilization rates or customer experience ratings for your application, it could torpedo the business case you were counting on to justify the project. Make sure you understand the costs involved to achieve your application performance goals (Contact Solutions offers an actual performance guarantee). Despite all the variables I mention above, Cloud IVR pricing doesn’t have to be complicated. The trick is to make sure you ask enough of the right questions to get a clear understanding of what’s included in the service offering so you can properly evaluate your options. We do our best to make this process as transparent as possible, so if you’re not sure about something, don’t hesitate to ask. Both you and your chosen vendor will be glad you did. All IVRs are not equal. 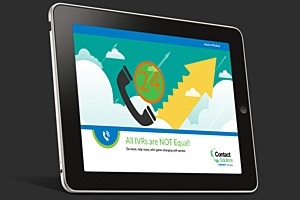 This eBook explains what it takes to get superior performance from your IVR.